Chicago Sun-Times columnist Laura Washington highlights the UIC Great Cities Institute’s Aug. 28 event “The World is Still Watching” in her latest column, which reflects on the 1968 Democratic Convention protests and the need for protest today. Washington will serve as co-moderator for tomorrow’s event at UIC. 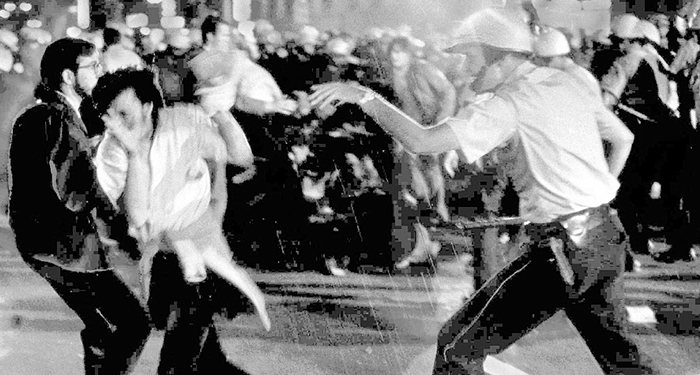 Fifty years ago, on the night of Aug. 28, 1968, thousands of young activists headed for downtown Chicago during the Democratic National Convention to protest the Vietnam War. Richard J. Daley, the convention host and America’s most powerful mayor, wasn’t having any disruption to his plans to crown Hubert Humphrey as his party’s presidential nominee. Daley dispatched battalions of police officers, the National Guard and the U.S. Secret Service. Appeals for peace were greeted by nightsticks and tear gas. Protestors were brutally beaten as they tried to exercise their First Amendment rights.